No matter what the weather is outside - the scorching sun in the heart of summer, pouring autumn rain or cold snow in the middle of winter - at any of these moments we would like to find ourselves at a quiet and calm summer creek with its lovely inhabitants - butterflies, dragonflies, snails. And, of course, with its main local dwellers - huge frogs. You also wouldn’t mind, would you? 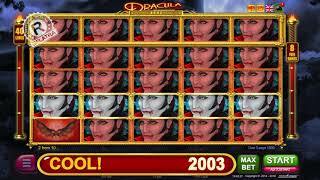 Then welcome to the new online slot from BELATRA! This is BELATRA’s vivid video slot Frog Creek. To appreciate this game, you can play this slot machine Frog Creek for free and without registration on our website. 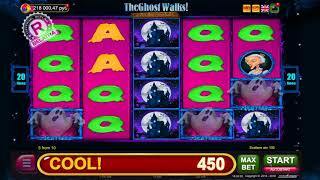 Or find this new online slot Frog Creek on the Internet and play it for real money! After all, Frog Creek is a real income stream! 5 reels and 100 lines - these parameters remain unchanged even in the world of frogs and butterflies. And the game process, generally, remained classical: make a bet, press "Start", wait for the reels to stop and see the received win on the screen. Besides the main game, there are also bonuses and risk games. What kind of online slot machine goes without them? If you prefer fast and dynamic free games to thematic bonuses, then this BELATRA’s online slot is for you! To face frogs is, frankly, not very pleasant, but that’s so only in real life, while in this game everything is quite the opposite - 3, 4 or 5 "Frogs" that appear on the screen at the same time, will trigger free games! But before they start, a big Frog will start hopping about the symbols on the reels, turning them into water lilies (in one series of free games there can be up to 10 of them!). A water lily is a wild symbol during the whole time of free games. And the more there are wild symbols on the playing field, the higher chances you have for a big, like Frog, win! Double and increase your wins after each victory. In a risk game of this slot you have a choice: guess the color of the card and double your win, or try to guess the dealer's card suit and become lucky enough to increase the received amount by 4 times! Not only frogs and dragonflies can be found in a pond with water lilies! Play the slot machine Frog Creek and see it for yourself! But if suddenly this game theme is not for you, then look into our "Free online casino" – a wide variety of themes, plots, bonuses and extra games will not leave any player indifferent!